Malware researchers discovered the Hermes ransomware, a new threat which can easily be removed if you follow our removal guide instructions. Solution #1 You can skip all steps and remove Hermes 2.0 Ransomware with the help of an anti-malware tool. 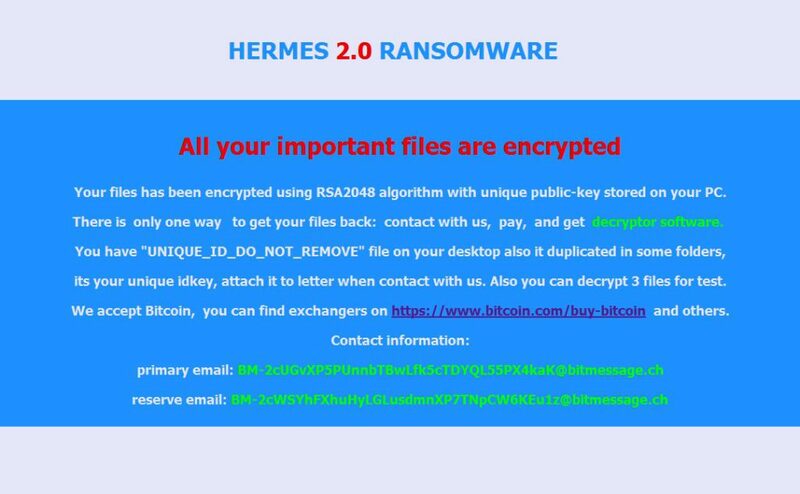 Hermes 2.0 Ransomware ransomware can be removed manually, though it can be very hard for most home users. See the detailed tutorial below. Hermes Ransomware is a new virus threat that has just been reported by the security community. It is still under investigation and so far the initial security analysis does not show that it a strain of a famous malware strain. What we do know is that the virus follows the typical ransomware behavior by encrypting target user data with a strong cipher. Next the victims are extorted to pay a ransomware fee. 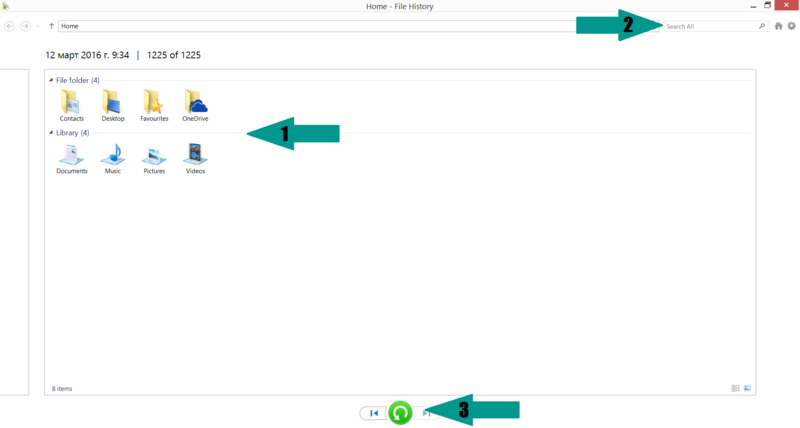 All affected data is renamed using the HERMES file extension. We do not have the full list of affected file types but we assume that the virus targets all popular documents, databases, music, video, photos, configuration files and etc. Email Spam Messages – The email messages are crafted to include links to the Hermes ransomware or deliver the payload as an attachment file. To increase the infection ratio the viruses can be masked as legitimate documents that may be of interest such as finanicla documents, invoices and personal letters. Dangerous Redirects – Dangerous redirects such as browser hijackers and malicious ads can be used to deliver the Hermes ransomware. Software Installers – Viruses can be bundled with infected software bundles that pose as legitimate apps, games and patches. The most popular source of infection are the pirate copies that are found on pirate sites and BitTorrent trackers. Manual removal of Hermes 2.0 Ransomware requires being familiar with system files and registries. Removal of any important data can lead to permanent system damage. Prevent this troublesome effect – delete Hermes 2.0 Ransomware ransomware with SpyHunter malware removal tool. For a faster solution, you can run a scan with an advanced malware removal tool and delete Hermes 2.0 Ransomware Ransomware completely with a few mouse clicks.